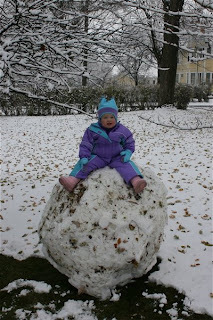 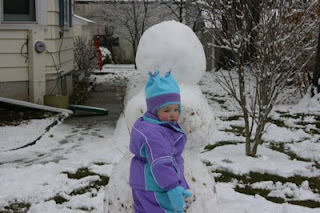 While the first snowfall of the year made mom's commute much longer, it made for a fun day for dad and Hadley. 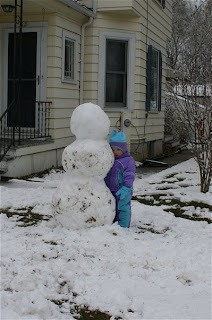 They had a blast making a gigantic snowball and snowman. 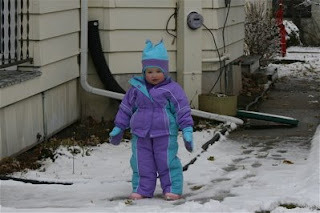 Hadley loved the snow and looked adorable all bundled up.